Howard Choy has devoted more than 30 years of his to Feng Shui and Feng Shui architecture. He was born in China and had his early education there; after migrating to Sydney, he finished his high school education there and obtained his B.Arch, degree from the University of NSW in 1974. 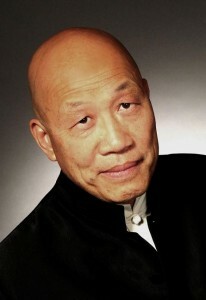 He worked in Hong Kong from 1978 – 1980 and had the good fortune of meeting first teacher Master Ren Zhi-lin there. From then on to this day, he has not stopped learning and practicing Feng Shui in his consultations and teaching, and in his work as a Feng Shui architect. Currently he is the Principal of the European College of Feng Shui (ECOFS) and a Director in the architectural firm, ar-qi-tektur, based in Berlin, with his partner Gyda Anders, who is also a Feng Shui architect, consultant and teacher. If you are looking for an experienced consultant who is an architect specialized in Feng Shui, China trained and is familiar with the Chinese culture, then we are the ones at your service. If you want to learn classical Feng Shui, then look no further than us, because what we teach we learned from the coal-face of Feng Shui and since we can read and write Chinese, we can teach from the primary sources, and through many years of applied working experience. We offer not only Master-Courses for the advanced students but we also ran a full Professional Practitioners Course for the serious students who want to make a career out of Feng Shui. Area in the UK that consultant covers: Nil at the moment, but our Professional Indemnity insurance covers us worldwide. Area outside UK: Europe, North America, Australia, the Middle East, Hong Kong, China and SE Asia. Area of work: Home consultations. Business Feng Shui. Garden Feng Shui. Feng Shui Planning and Architecture.